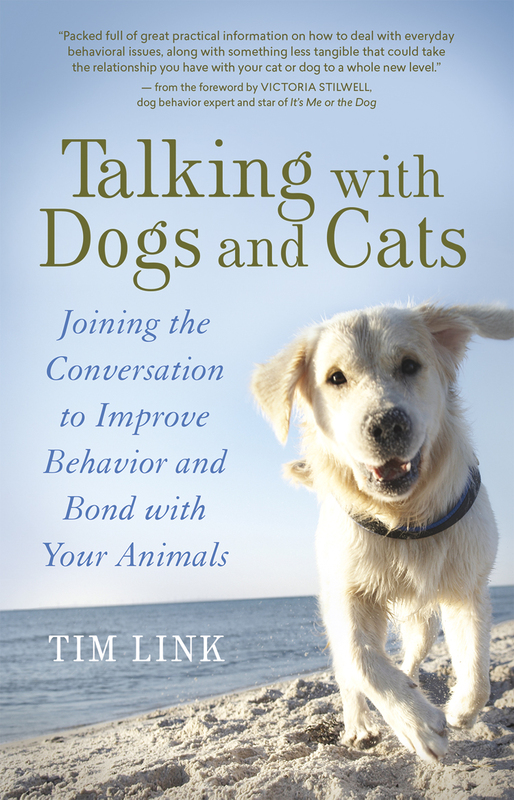 “Talking with Dogs and Cats,” by Tim Link. New World Library. $14.95. This primer for maximizing your relationship with your pets is akin to a college or professional football coach’s playbook designed to produce cohesiveness and teamwork on the field and off. The key to developing a sound relationship is putting the brakes on your fast-moving lifestyle. I know, easier said than done. Link emphasizes that “we have to take time to better understand how to communicate with them (our pets),” which is key to their growth and happiness. I can totally relate to author/trainer Victoria Stillwell’s comments in the Foreword, “Animal communication exists on a completely different level, but it complements what we as lovers of science and learning are trying to do. I admit that I’m one of those people who thinks the practice of animal communication is a little strange, only because I don’t fully understand it,” offering up compliments of Link’s ability to deal with everyday behavioral issues thereafter. Link writes that there are three chief forms of telepathic communication – feelings, transmission of feelings and/or images and finally, words. Link addresses a wide assortment of common trouble spots for owners – and animals – separation anxiety, cats and litter boxes, crate-training, walking on a leash, digging, company is coming, baby is here, a new pet has arrived, etc., in context to developing smooth and corrective communication. While the bulk of Link’s suggestions are not new there are striking trouble-shooting flashpoints throughout that might stop potential behavioral problems before they arise, saving an enormous amount of household stress in the process. Liquid smooth one minute, combustible the next, “Talking with Dogs and Cats” offers the reader a resilient, can-do spirit packed with solid nuggets of wisdom.